Because of many websites on the internet, Competition for a slice of the customer’s spending habits is fierce. Sometimes, Search Engine Optimization isn’t enough- Pay Per Click services have to be used to aggressively market yourself online. SEO gives your website an organically higher search rating, PPC gets you to the top of the search. 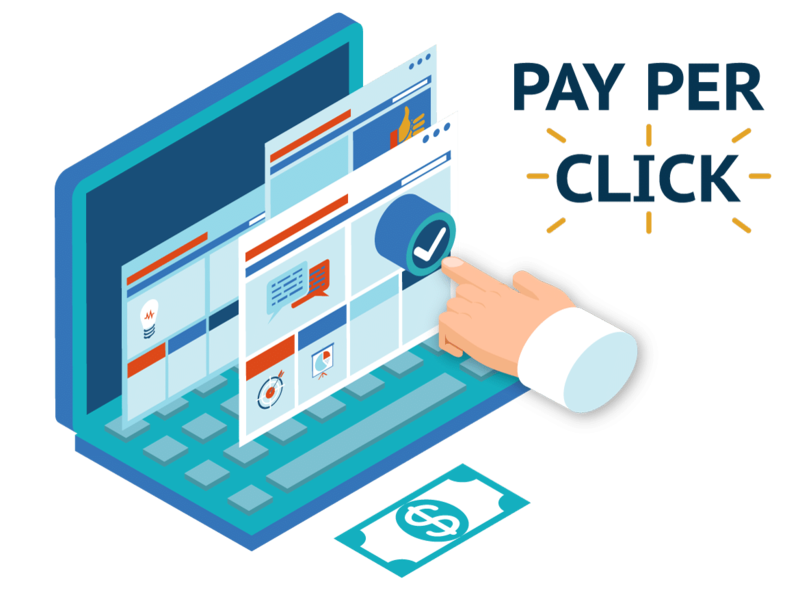 Pay Per Click is an internet marketing campaign where you pay whenever your website(or advert) is clicked. This makes sure that there is a continuous stream of visitors to your website and that you have literally bought their visit to your website. With a Pay Per Click campaign, you are only paying to those who are genuinely interested in your business. In other traditional marketing campaigns, you spend with the hope that the target customers is converted but you can never really know how effective the campaign is. With a PPC campaign, you have the flexibility to set a budget and change its contours whenever you need. You can always increase or decrease your spending depending on various parameters. You can always be sure that your money is well spent for promoting your business. With Pay Per Click and location mapping, you can customize your campaign to ensure that your target customer gets the ad at the right time, right place and in the right situation. This can help to maximize conversions especially when the customer is really interested in your product/service. Using all the above ways to target the customer, you can be sure that your business gets quick results due to customized solutions for PPC campaigns. In the best case, if you implement a Pay Per Click campaign today, you can literally see the results of the campaign on the next day.